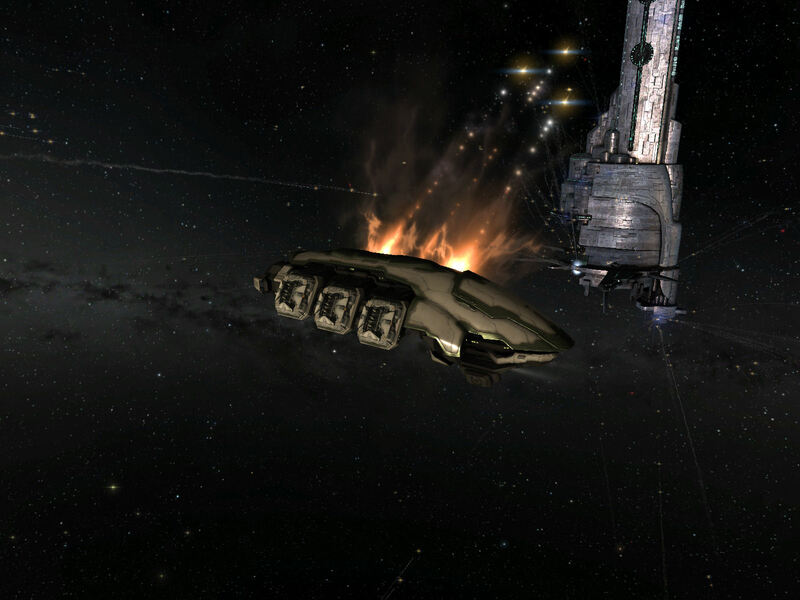 Aurora News: Amarr Militia auction is a success! In an effort to assist the Amarr 24th Imperial Crusade Militia, Lady Lunarisse Aspenstar announced that a large ship auction will be held to support the Militia members financially. This auction was held in the heart of the Empire, the Amarr system. Militia members and their supporters & allies were invited to attend, while others like me could request an invite to be present as well. All attendees would also get the right to bid on a large variety of ships! As it was an Amarr venue, a dress code was present. Guests were also expected to show respect for high ranking Amarr capsuleers, as titles & ranks determine your position within the Amarr Empire. 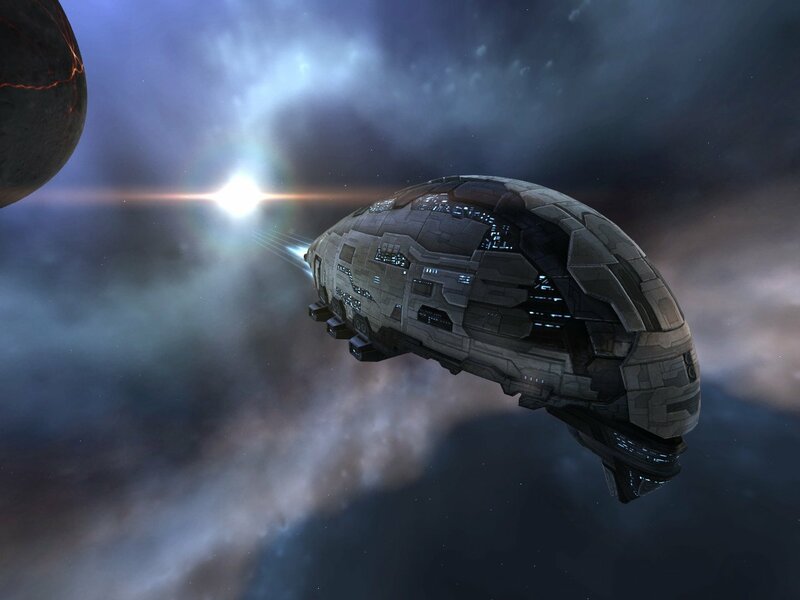 I have attended Amarr held events before, but as these usually involved the attendance of capsuleers from a variety of backgrounds, the protocol to address the Amarr capsuleers was usually kept very flexible by their standards. But this time, it would be different, as this Militia auction would be attended almost exclusively by Amarr and those that grew up in their society! However, coupled to the much stricter protocol was also a chance to know Amarr society better as they are more reserved in mixed gatherings, resulting in the popular notion that the Amarr do not smile nor know fun. This gathering would prove the error of these common misconceptions. 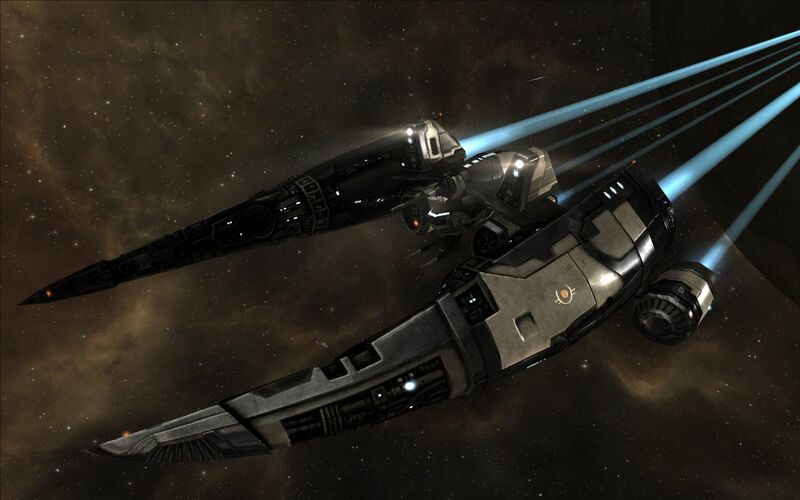 The auction itself offered a large variety of ships to bid on, donated by upstanding members in the Amarr community in order to support the militia. To add to the enjoyment of the auction, Lady Aspenstar also gifted away free ships as a doorprize, an award for attending the auction. There was also the option to buy large amounts of the classical Amarr frigates, used by the 24th Imperial Crusade to fight their enemies. The first thing I notice when I arrive at the Connection is that the attendees are practically all Amarr or deeply rooted into Amarr society. Feeling out of place as I wear a typical classic but sober Caldari dress, I decide to seek out a quiet corner in the establishment, allowing me to observe the crowd. The beautifully crafted and finely decorated but delicate Amarr clothing are a sight to behold, so opulent, yet without a glimmer of decadency. Observing the crowd more, I notice subtle gestures, minor glances on which others react. Slowly it dawns on me this is part of the intricate play of power, tradition and prestige in Amarr society. Over time I can identify a few high ranking Amarr, as most of the crowd display their respect to them as to a superior. As more attendees walk in, Lady Aspenstar lets the crowd know that all drinks & snacks are on the house, on top of it, she also announces the first winner of the doorprize, a reward for attending! The winner is Lord Daemund of Khanid who receives a Venture! The guests applaud for him and laughs are heard among the crowd, whispering that the Lord now has a suitable ship to explore the belts. After this, Lady Aspenstar calls for silence & attention from the crowd, as she leads Abbess Benedicta Sechez to the front, announcing she'll recant a Prayer to declare the auction officially open! As the Abbess recants the Prayer, praising the strength and faith the 24th Imperial Crusade has shown in their dedication to strengthen the Empire, and their Caldari allies who support it, the hall is silent as the words carry across the Connection Hall. When the Prayer ends, the crowd concluded with a loud 'Amen' in unison. With this concluded, the Auction is opened! But not before Lady Aspenstar announces the second doorprize winner! It turns out, that would be me, gaining a Condor as a prize! The Auction has begun! Let the bidding commence! The first ship on auction turns out to be the prized Sarum Magnate, a rare variant of the renowned Magnate frigate, only handed out on occasion by the Sarum Royal family. After a short bidding competition, the ship is awarded to Lord Mordant with a winning bid of 1 million isk, a true bargain at this price! The next ship would gain alot more interest as it turns out to be a Kador Punisher! These frigates are highly sought after due to their color scheme and so this one gathered alot more attention from the audience. The bid opened at 2 million isk, but rapidly skyrocketed past 10 million! And yet, the bidding hardly slows down as it keeps going up, crossing 20 million isk! eventually, Lady Dori Olacar's bid proved to be too high to top and so she gains this prized ship with her winning bid of 25 million isk! Next up is another frigate, this time a Navy Imperial Slicer, favored for it's prowess in battle. 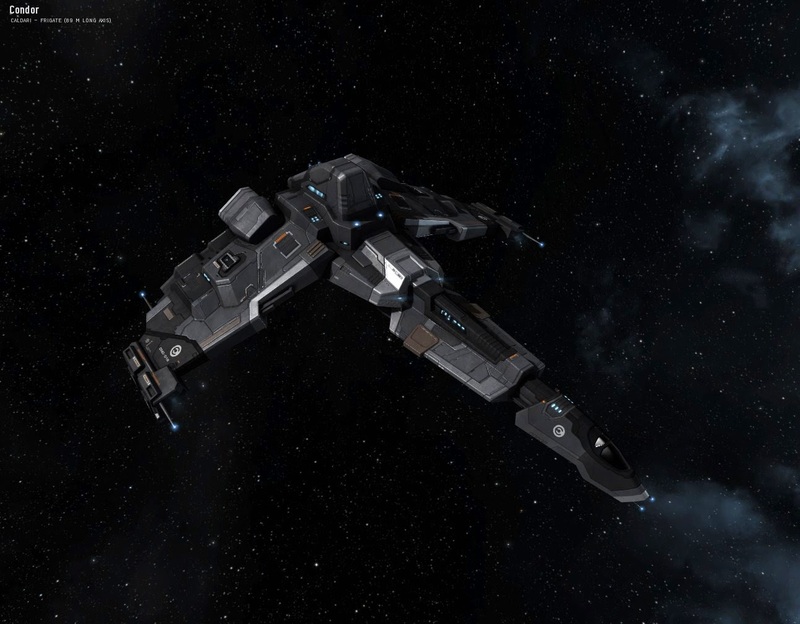 An early heavy bid by Lucas Raholan assures few contest him, and so gains this prized combat ship for 12 million isk. 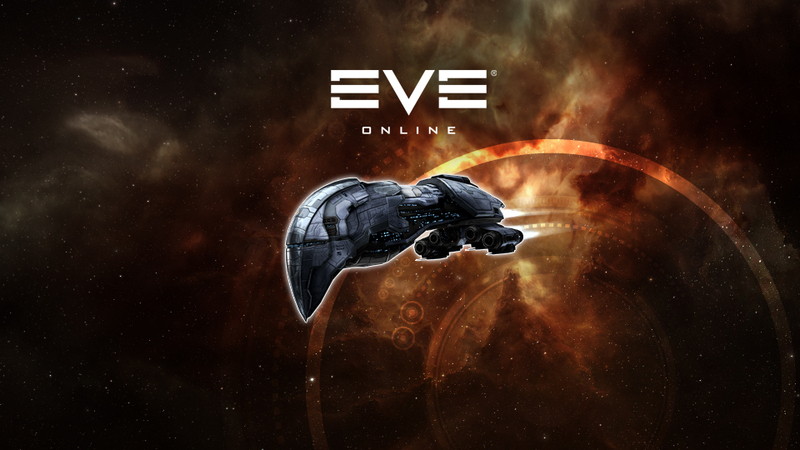 The upcoming auction would prove very interesting, as it's a duo of Kador Omen ships being auctioned off together! As the bidding starts, it's quickly noticed that this time the more whealthy guests began bidding, taking increments of 5 million to top previous bids! As the bidding raises above 50 million, one of the guests is momentarily shocked by the easy at which dozens of millions are thrown around! This guest would turn out to be Thal Vadam, an Amarr Dust mercenary. While they do get paid well compared to baseline soldiers, he realized on attending this auction that capsuleers have nearly unlimited funds at their disposal compared to Dust Mercenaries. 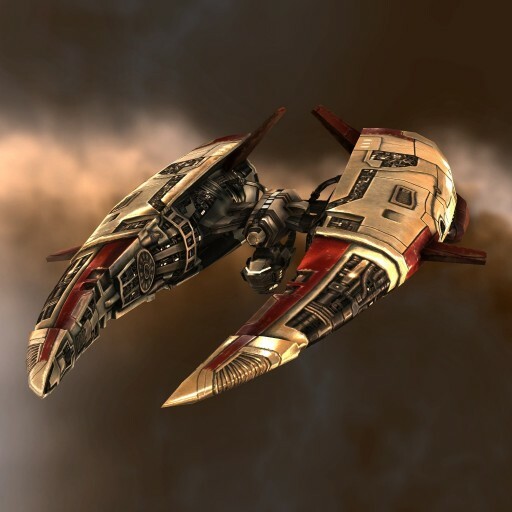 Eventually, the Kador Omen auction settled at 60 million, giving Lord Lucas Raholan the ownership of these prized ships! Next up is a Purifier, a stealth bomber that excels in taking out shield-based targets. Shortly after Lady Aspenstar opens the bidding on this fine piece of Amarr Engineering, the auction already finishes thanks to a few heavy bids. 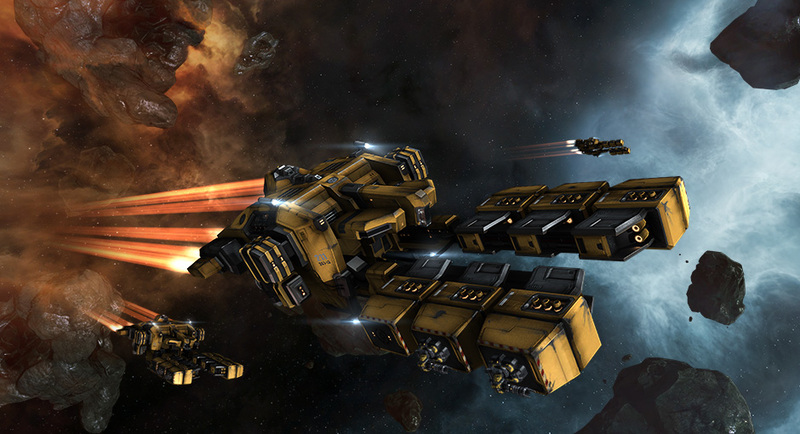 Lord Rhayle Mordant wins this auction by a bid of 25 million isk! The next auction was a Crusader that once belonged to Arista Shahni. 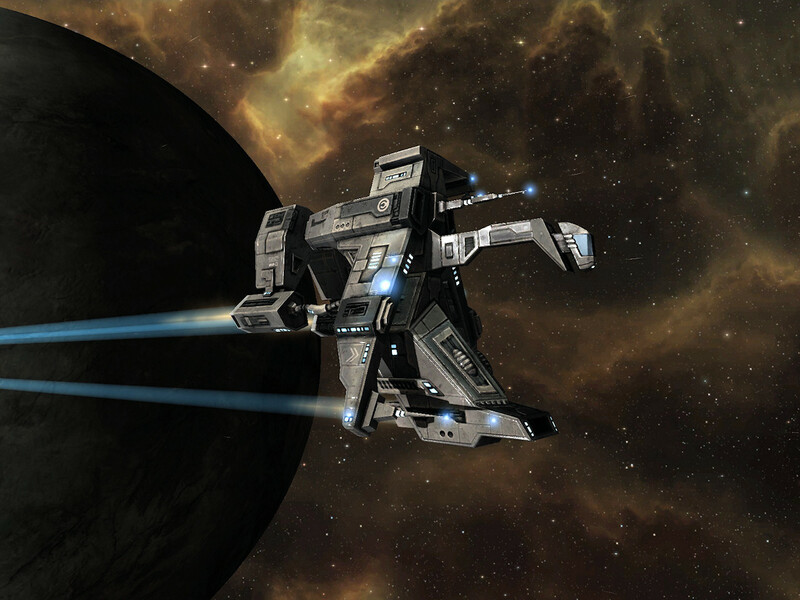 The bidding for this ship went slowly but steady up, until it ends at 19 million isk. 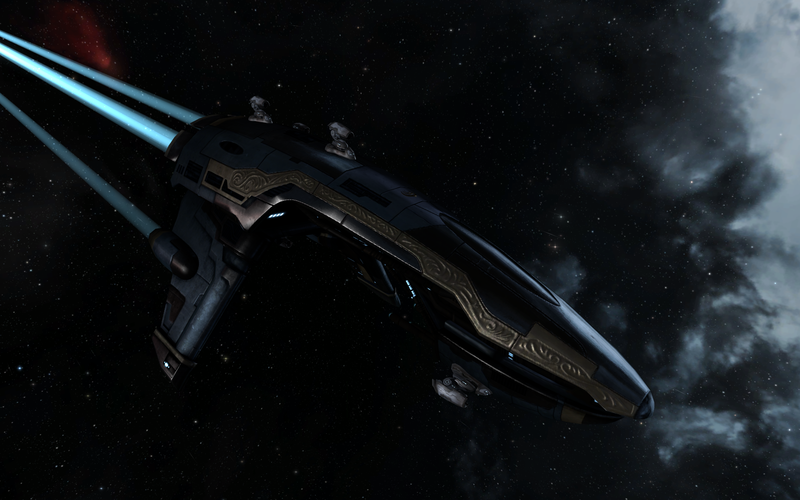 Lord Daemund of Khanid placed this winning bid, securing the ship into his possession. After this, a small break was called, before the high end ships would be placed up for auction. This gave the crowd some time to socialize. Lord Lucas Raholan joined my table and proved to be an entertaining speaker. Remarkably relax on protocol, we had an enjoyable talk about ranks & titles among the Amarr, giving me tips & guidelines to address those who are more strict in adhering the traditional protocols. When laughing and grins were heard among the crowd, it piqued my interest. Turns out Lady Aspenstar used the break to announce the next winner of the doorprize, a ibis for PIE officer Arline Kley, a prize that humoured quite some attendants. And on to the final part! Valued ships, high bids! Once the short break was over, the auction started off with a highly desirable ship, the Navy Omen! 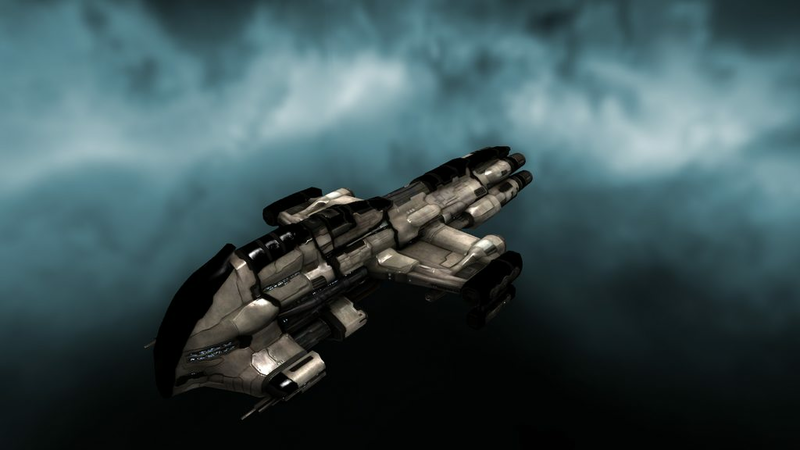 With some serious hefty bid increments, the auction ended once more in favor of Lord Lucas Raholan, winning this prized ship for 40 million isk. Next up was a ship of an entirely different nature, the Imperial blockade runner Prorator. the bidding started low. As Arline Kley bidded, people joked she wanted to use the ship to transport her prized Ibis covertly. But bids didn't climb high, keeping the ship far below market value. Letting my Caldari nature speak, I jumped on this opportunity, joining the auction. In the end, the winning bid of 55 million seals this bargain in my favor! The Navy Harbinger came up for auction next. A few initial heavy bids assured that only a few remained to keep bidding on this fine Imperial vessel. However, the biddings kept far below the actual value of the ship, causing my Caldari senses to twitch. Once more joining the bidding, I rapidly seal the deal with a winning bid of 100 million isk! Again a temporary break was called, on which Lady Aspenstar handed out the two final doorprizes! As Lady Aspenstar announced that Lady Olacar has won a Reaper, silence fell upon the crowd, apparently the awarding of the minmatar frigate as a prize surprised the attendees. In an attempt to break the awkward silence, the next winning prize was announced, a Bantham awarded to Lord Lucas Raholan. Following this, some laughter is heard from the crowd when these prizes are revealed. However, The Contessa di le Solfete Erin Savonarola was less amused by this, contracting better prizes for the winners, a Gecko for Lady Olacar, a highly sought after Drone, and a Unit of Lag for Lord Raholan! This last prize did entertain many guests, appreciating the humour of The Contessa. After this short intermezzo, the final part of the auction starts once again as Lady Aspenstar puts up the last two ships. 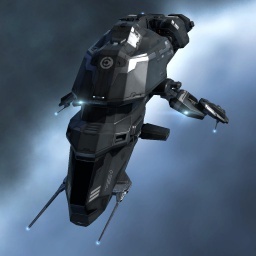 First is the Garmur, an excellent combat ship! The bidding starts in earnest, rapidly ramping up as various capsuleers attempt to claim the winning bid. But in the end they are trumped by a new player in the bids, combat capsuleer Kela Ichosira who claims the ship with a stunning bid of 125 million isk! 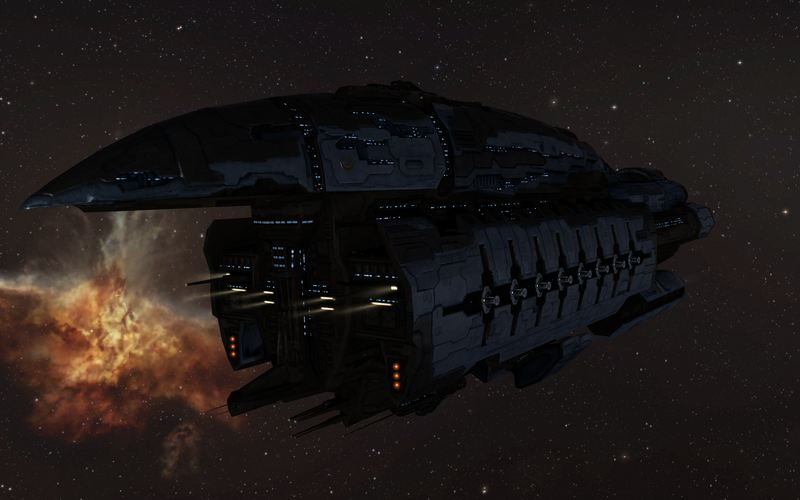 And then the final ship is put up, the one many have waited for, a Kador Edition Abaddon! Starting out at the low price of 100 million isk, this auction gains the interest of many in the crowd. The attendants frantically bid, in order to claim this fine battleship as their own. Then out of nowhere, the Abbess Benedicta Secheh trumps all previous offers by placing a 200 million bid! On top of this, her authoritarian stance and staunch voice as she bids leaves no room for interpretation; she would not be challenged on this bid! For a moment it was silent, then an outsider, unbound by Amarr traditions breaks it by placing her own bid! This outsider was me, bidding 5 mill over the Abbess. This course of action was rapidly followed by the Amarr guests who decided this would be the auction that would not only show off their wealth, but also their loyalty to the Empire! Quickly, bids rose far beyond what I was willing to pay for this beautiful ship. As bids keep climbing, more and more realized this final auction went beyond the mere acquisition of a battleship. It became a competition of prestige among the wealthy & high ranking attendants. In the end, Lord Rhayle Modrant showed his supremacy as he vastly outbid the rest by a formidable bid of 500 million isk! Through this large bid, he showed that he could not be challenged on wealth, that the prestige of owning this particular Kador Abaddon that has the interest of the Abbess belonged to him alone! And so the auction closes on a thrilling note, leaving Lady Aspenstar to the final formalities of contracting the auctioned ships to the winners. Lord Daemund of Khanid however wouldn't be outdone by Lord Mordant's show of wealth as he inquired on the amount of combat frigates he acquired. The answer of Lady Aspenstar affirmed his prestige as a wealthy supporter to the 24th Imperial Crusade as he has bought all 250 Amarr combat frigates on offer. While he didn't outright declare the purpose of his intent, the destination to where they would be shipped left little room for imagination. Looks like the Amarr Militia will not only gain substantial financial aid through this auction but also a fresh influx of combat frigates! Below is a list of all the ships on auction, their donators and the winners of these auctions! 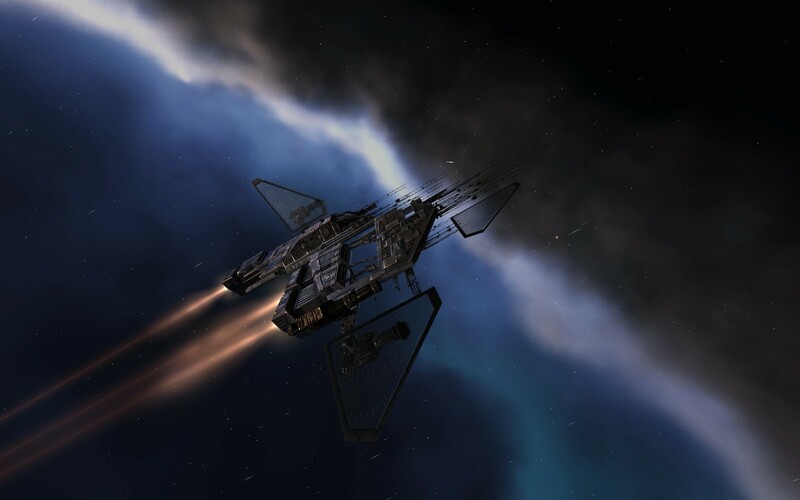 On overall, the auction has been a success, where several ships were sold above their market price, giving the 24th Imperial Crusade some additional financial aid to continue their fight to strengthen the Empire. While I was an outsider in this near exclusive Amarr gathering, I did enjoy the auction. I was informed by Lady Aspenstar that several Caldari had been invited as well, but that duty had called them to service, forfeiting their attendance on this event. Their absence did provide a unique opportunity, as the attending Amarr and their associates were deeply rooted in the traditions & protocols of Imperial society, giving me a glimpse on their internal socializing. This is a rare opportunity for an outsider, as usually when multiple non-Amarr are present, they unavoidably have to make some concessions to the protocol for those who do not fully understand it, a practise they aren't fond of. I had first hand experience in this when I addressed the Contessa wrongly at first but, lucky for me, Lord Raholan came to my assistance, resolving the situation. He has my thanks for his guidance & patience with me regarding this! The auction event itself was an enjoyable experience as many of the attendants weren't restricted to uphold the image of the Empire to outsiders, giving way to jokes, cracks & teases. Not something you find in your usual dealings with Amarr aristocracy. But with that said, they do know the meaning of authority, as a mere gesture or word can be enough to silence a room, or hold back a crowd from bidding. All in all, it was a very interesting experience where I managed to catch a glimpse of Amarr society as it is inside the Empire. Not to mention I acquired two excellent ships for a bargain price as I couldn't ignore my Caldari side to jump on an opportunity!